Is your pesto the besto? 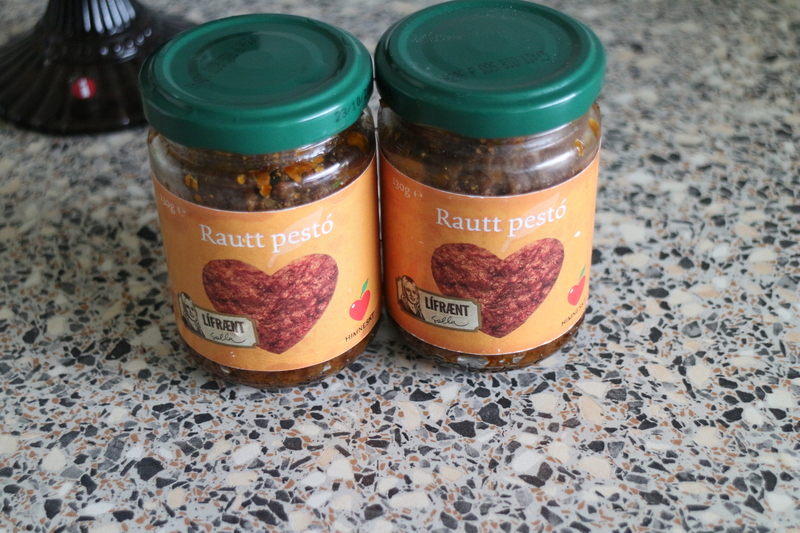 Recently I’ve been loving red pesto. It’s so good with everything, especially on toasted bread. So I decided to try my own version of pesto. 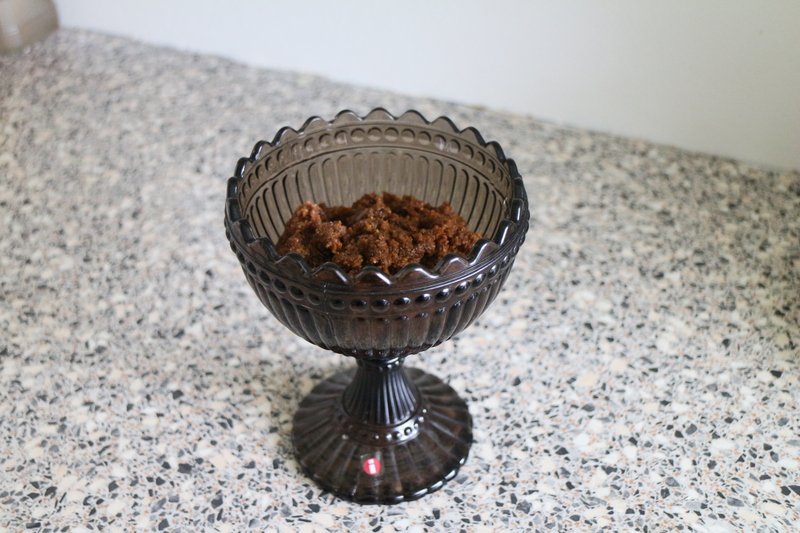 I looked at some recipes online and in the amazing Heilsuréttir Hagkaupa , that’s a cookbook that Solla Eiríks wrote. She is a vegetarian/vegan/raw vegan chef. She is amazing. You can check her out at www.rawsolla.com . So this is my version of her amazing sun dried tomato pesto. This is so easy, and quick that you will laugh when it’s ready. First thing I did was to soak my sun dried tomatoes because mine where dried in a bag. 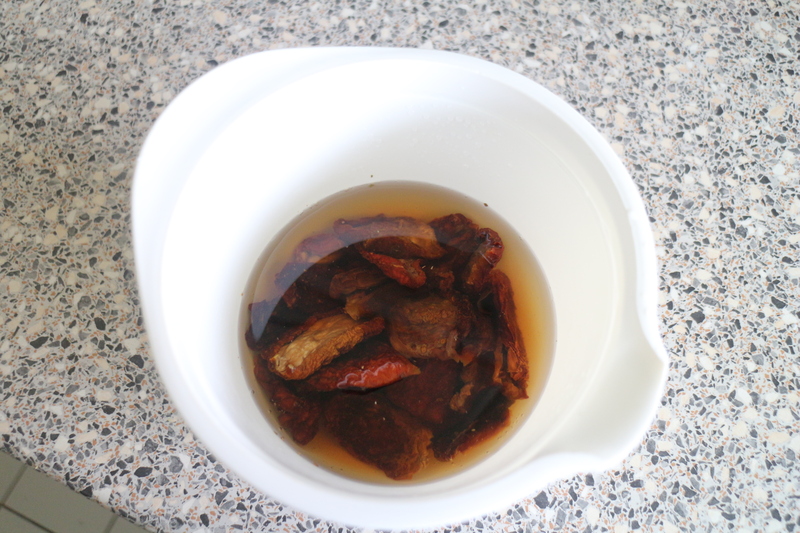 Soak dried tomatoes for 30 minutes or more. Meanwhile I roasted some almonds on a dry skillet. 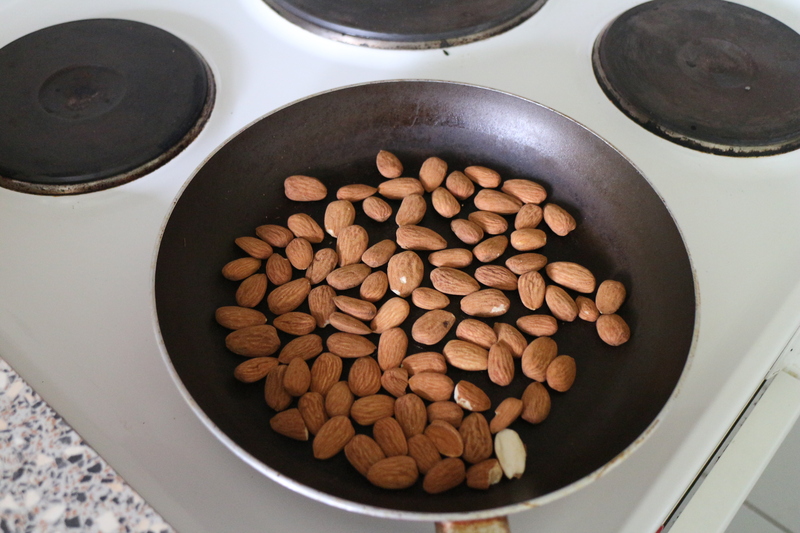 Roast your almonds on a skillet for about 5 minutes. When my tomatoes where soft I started to fill my blending bowl with goodness. Fill your bowl with goodness. Then pour olive oil over everything and mix. When your satisfied with the texture it’s ready. This recipe is for a lot of pesto if you are alone eating it, so I store my pesto in old pesto jars that I keep when I’ve finished up the pesto. Perfect to recycle your old jars. Recipe is about 350-400 ml. Depends on how thick you want it. 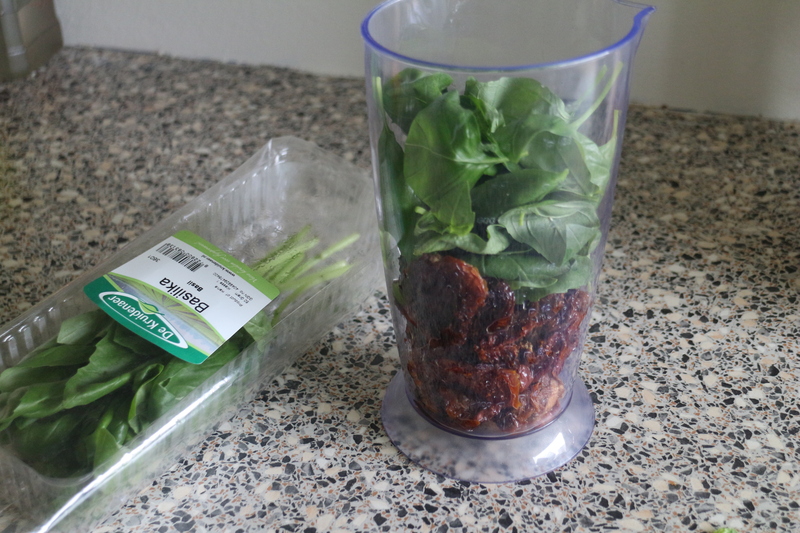 Put everything in a blender or a food processor. I used a hand blender and it worked fine. Hope you try it, enjoy !